This is the first installment in a series that spotlights NC State employees who work outside our Raleigh campus. NC State alumna and Extension Agent Andrea Gibbs works with farmers in Hyde and surrounding counties. What exactly is NC State Extension? With more than 900 employees – nearly 600 of whom work off campus – NC State Extension aims to improve the lives of North Carolinians through a host of programs and services. In fact, NC State Extension provided face-to-face services to 1.8 million people in 2018 through more than 13,000 educational programs statewide. And the organization’s economic impact on the state is estimated at $2.1 billion. In simple terms, according to NC State Extension Director Rich Bonanno, Extension is about lifelong learning for all. 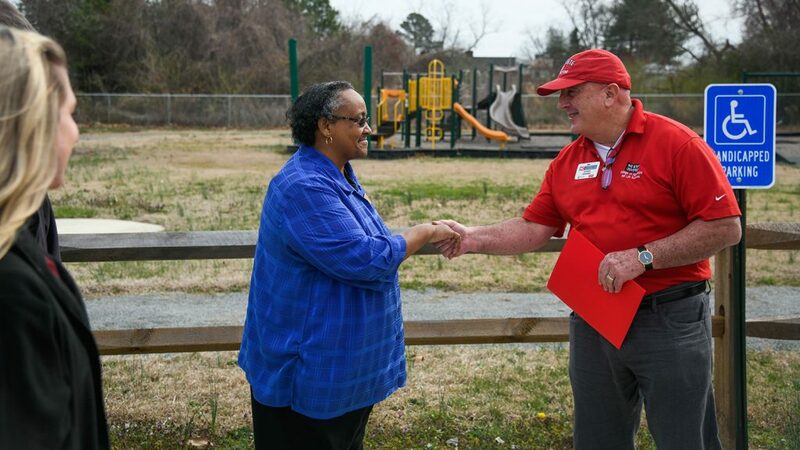 NC State Extension Director Rich Bonanno meets with Seaboard Mayor Geraldine Langford at Seaboard Community Park in Northampton County. It was the first stop on a recent tour of projects that were part of NC State Extension’s Health Matters project, which aims to increase access to healthy food and physical activity. NC State Extension is actually one component of North Carolina Cooperative Extension, a century-old strategic partnership among NC State University; North Carolina A&T State University; and federal, state and local governments. Since the passage of the Smith-Lever Act of 1914, land-grant universities have worked toward a common mission to extend knowledge to the public through Extension. With centers in each of North Carolina’s 100 counties and the Eastern Band of Cherokee, Extension experts help communities and businesses identify local issues. Specialists on campus research and develop solutions, then county agents deliver the discoveries and help clients translate them into practical applications. 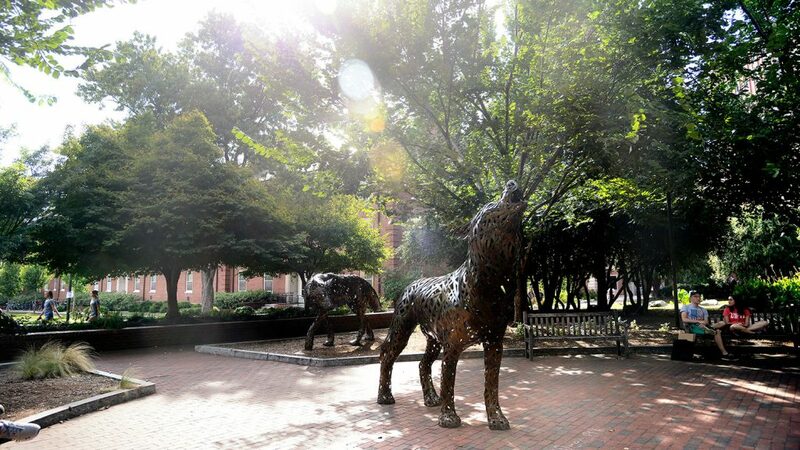 Through Extension, NC State has a front door in every community across North Carolina. Extension’s work runs the gamut from crop protection to public health. And problem-solving is the name of the game. Here’s just one example of many: When western North Carolina farmer Martha Calderon needed help keeping her tomato harvest fresh, she called on NC State Extension (which then tapped the Department of Biological and Agricultural Engineering). The result? 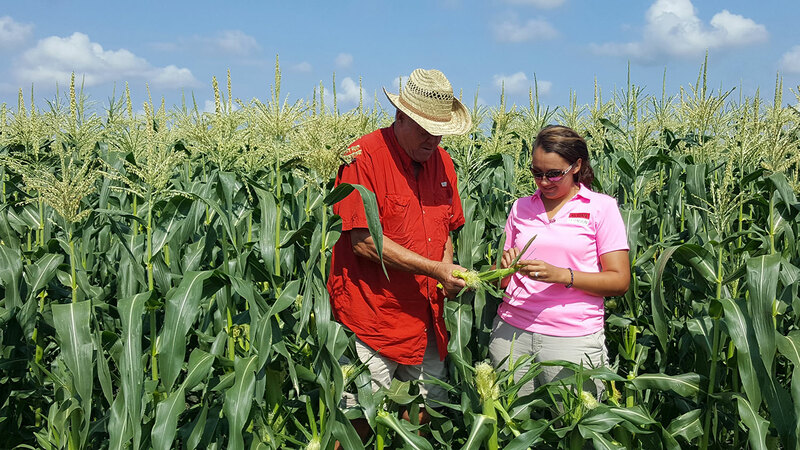 A new cooling system that protects Calderon’s crops and boosts profitability. 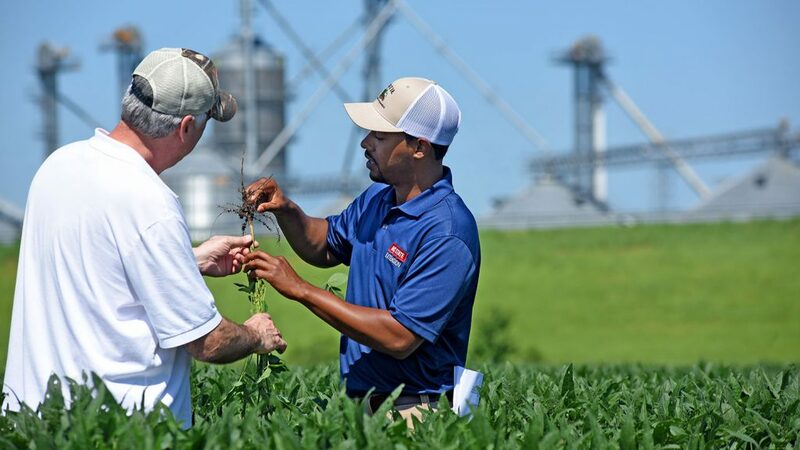 Bertie County Extension Agent Jarette Hurry (right) works with a farmer in a soybean field. While the bulk of Extension’s work is targeted to rural communities and agriculture, its urban programming is growing across the state. In Guilford County, Extension is connecting food entrepreneurs to a shared-use commercial kitchen, food safety certification program and small business development training to help them grow new businesses. Extension’s 4-H program in Mecklenburg County is providing opportunities for immigrant youth with limited English proficiency to build new skills and relationships. And the 4-H SPACES program in Wake County provides opportunities for youth involved in the juvenile justice system to participate in intensive interpersonal skills development that reduces involvement in high-risk behaviors. Thanks to programs that focus on everything from food safety to physical activity, Extension tackles critical public health challenges and helps people achieve lifelong health and food security. Extension Master Food Volunteers conduct a cooking demonstration. In one example, Extension is teaming with government partners to deliver programs that tackle obesity in four Eastern North Carolina counties. The team won a $1.5 million Centers for Disease Control grant to decrease obesity rates in an area of the state where the problem is most severe. And at the Plants for Human Health Institute at the North Carolina Research Campus in Kannapolis, Extension personnel help discover and deliver innovative plant-based solutions to advance human health. Building future leaders is also part of Extension’s core. More than 225,000 young people participate in Extension’s 4-H program, the largest youth development organization in North Carolina. In 4-H, children learn by doing, completing hands-on projects in areas like health, agriculture, citizenship and STEM fields. North Carolina 4-H youth collect and package food for the organization’s annual Hands to Service project. As the organization evolves, Bonanno says, so does its outreach. 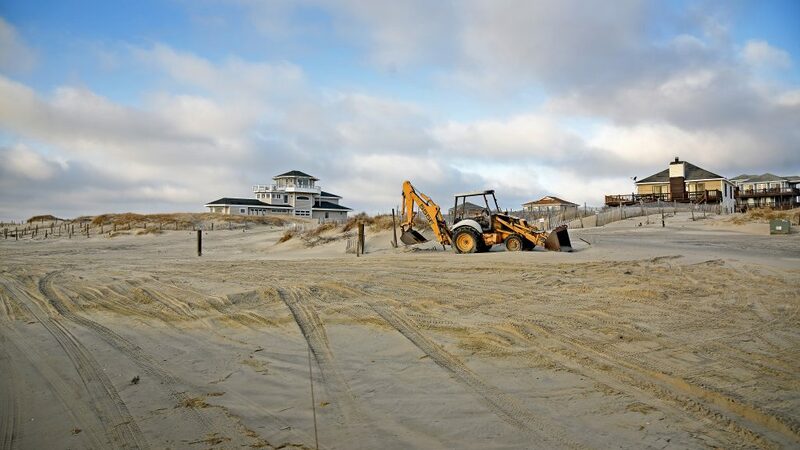 That’s why disaster preparedness and recovery have become a big part of Extension’s work. In the wake of recent hurricanes, Extension employees have been doing everything from helping farmers secure hay for the winter to educating consumers on how to remove mold from their flood-damaged homes. 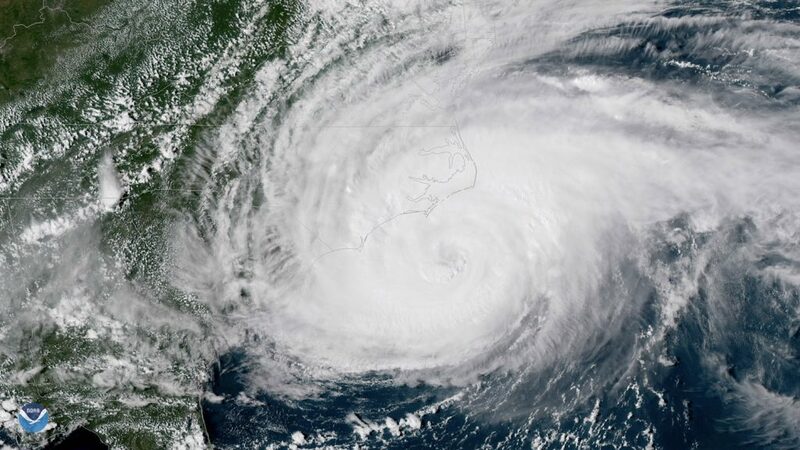 In the thick of crisis, county Extension directors serve on emergency response teams, and Extension has a presence at the state’s Emergency Operations Center in Raleigh. If you’d like to dig deeper, check out Extension’s impacts, its Homegrown series or this video about how Extension works. And stay tuned for profiles of Extension employees at work throughout the state. 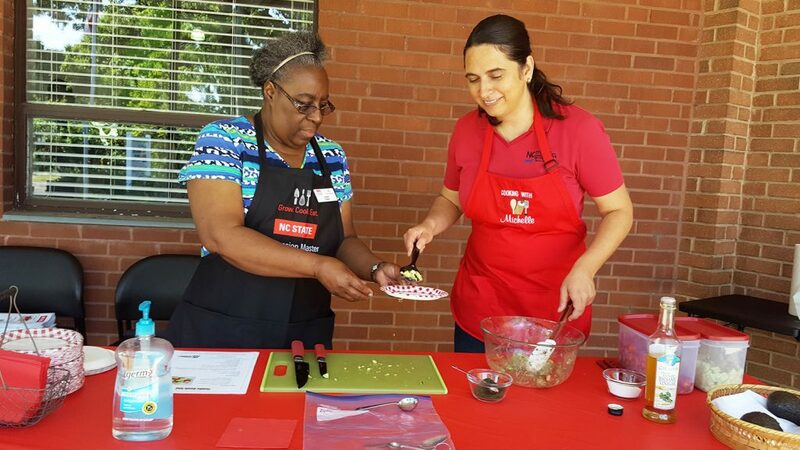 In the image with the caption, “Extension Master Food Volunteers conduct a cooking demonstration,” the person on the right is incorrectly identified as a volunteer. That’s Michelle Estrada, Family and Consumer Sciences (FCS) agent in Wayne County. So proud of Northeast District Extension Agents Andrea Gibbs and Jarette Hurry! !